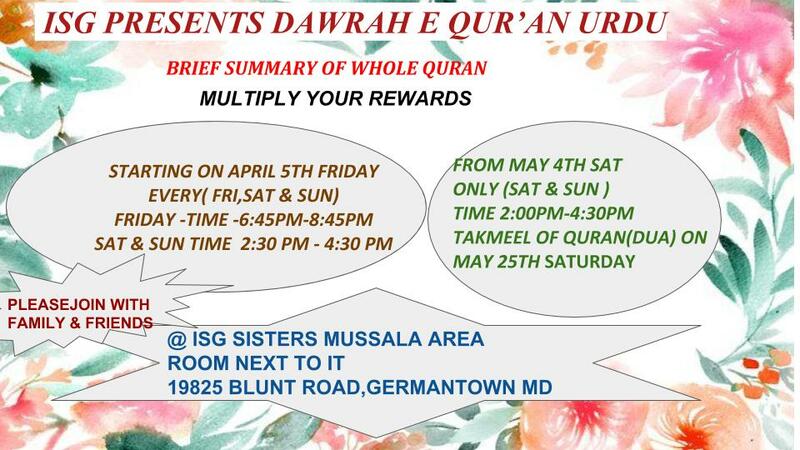 Welcome to Islamic Society of Germantown website! Qur’an Insights Class Schedule updated. Br. Hatem gives a lecture “Quran Insights” every Tuesday between Maghrib and Isha and every Sunday after Fajr. This lecture series covers word by word explanation of the holy Qur’an. Posted in News	| Comments Off on Qur’an Insights Class Schedule updated. 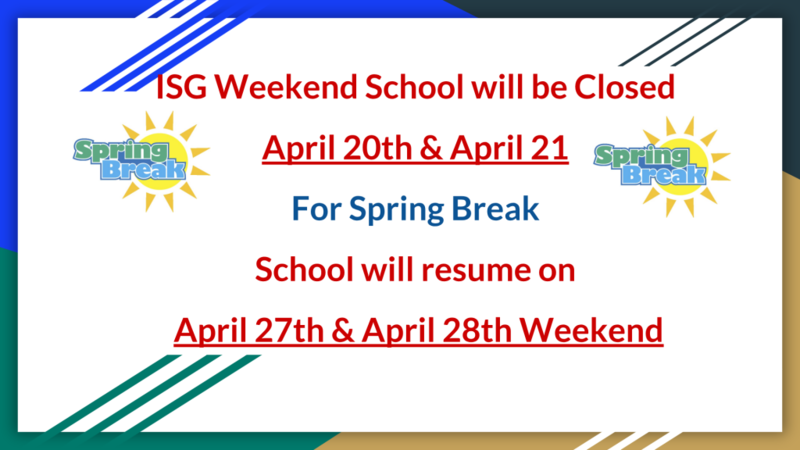 We understand it has been difficult to keep track of all the different programs going on at ISG, so we have put together a calendar for events, classes, halaqas, seminars, etc. for what’s going on at ISG everyday. Please use it to find something beneficial for you to attend throughout the week. You will see a link to it in the top menu bar or you can click here to see it. We would like to request the community to park in designated spaces during Jumuah. Please do not park on Middlebrook Road. We have been warned by the county in multiple occasions. The county will strictly enforce police presence and towing as parking in this road causes lane closure. Please park on Brandermill Rd (Only 2 min walk) instead.